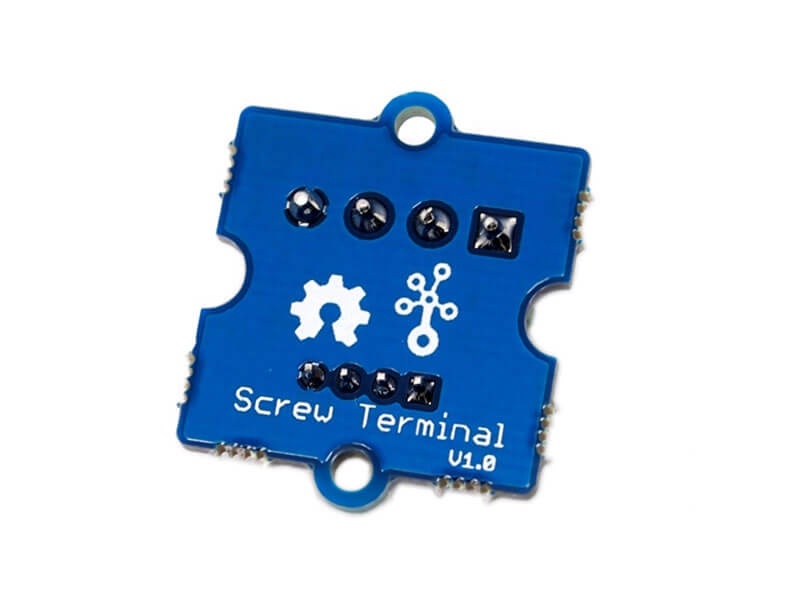 Grove - Screw Terminal with four 3.5mm pitch pins rated up to 6A. Terminal can accept 30 to 20AWG wire. It is most commonly used pitch screw terminal. This Grove has four ports including GND, VCC and two other ports. 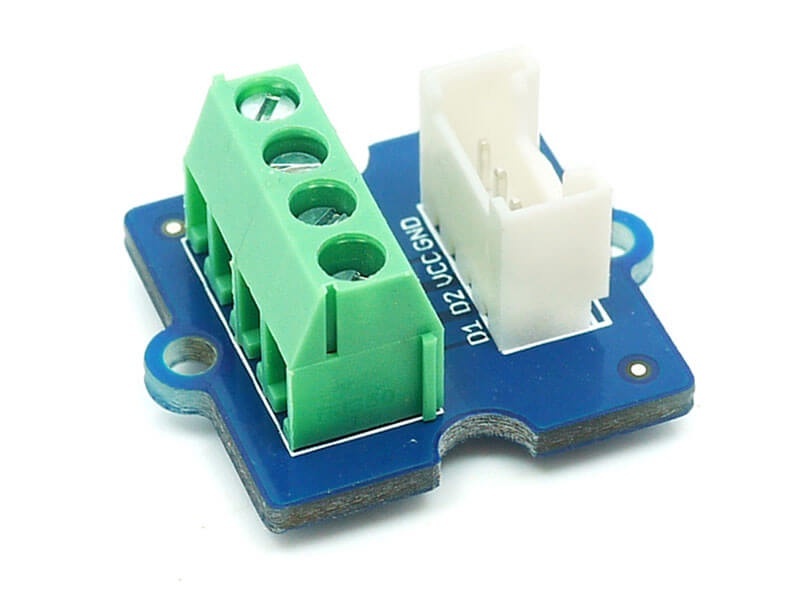 This Grove can be used to interface Grove wires(signals) with other external non-Grove modules. This Grove acts as a wiring form factor converter.